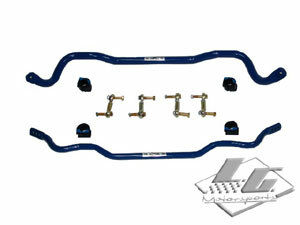 This kit locks in your desired camber settings and prevents alignment changes while driving. 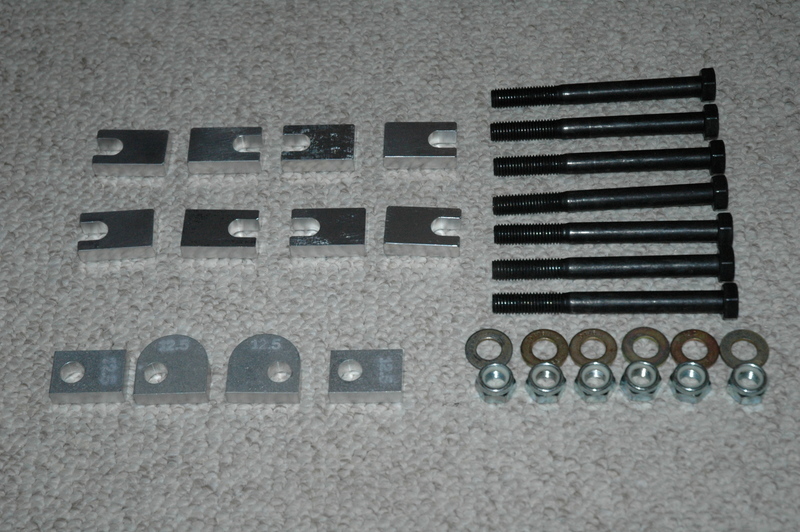 Use with Stud kit for rapid camber changes. 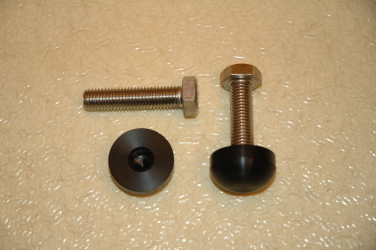 This kit is a replacement for the unavailable adjusters on the ends of your stock spring. 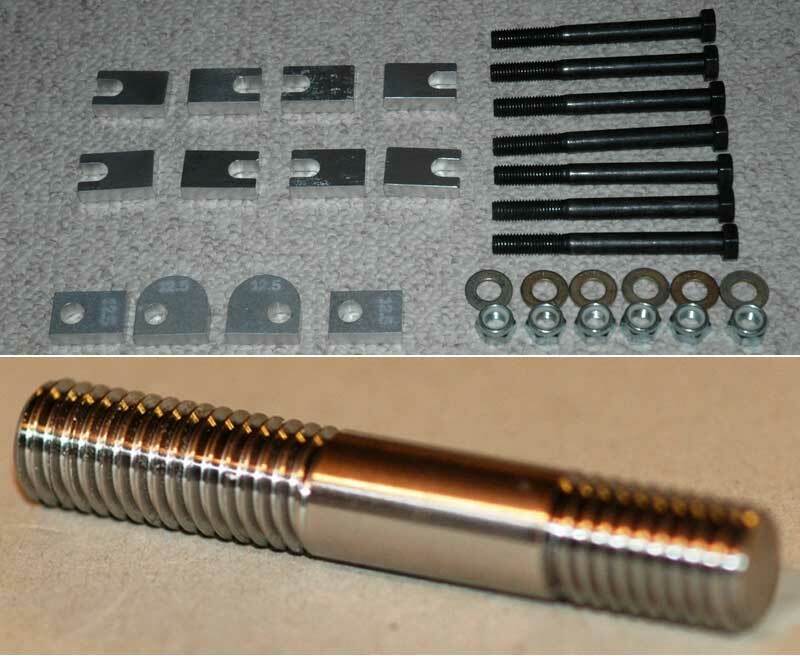 It uses stainless steel threads so it will not rust weld itself in place like the stock pieces, and has CNC machined Delrin pads. 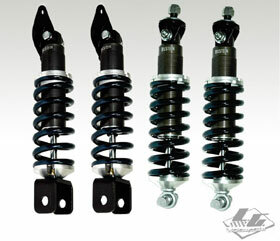 Vetteworks is proud to announce yet another race quality suspension piece for your C7 Corvette! 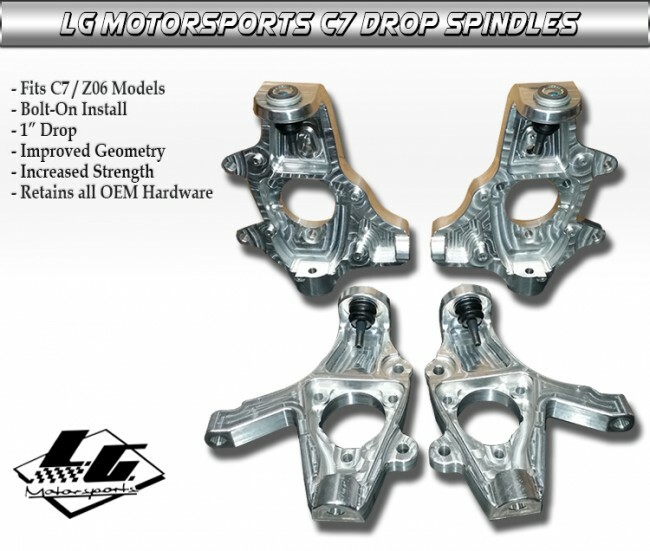 LG MS famous billet drop spindles are here and ready to go! 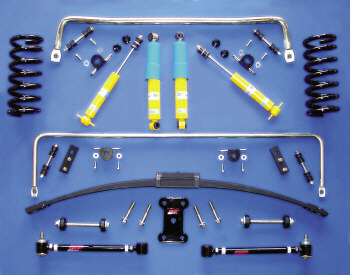 Vetteworks brings you the worlds FIRST and ONLY performance adjustable sway bar kit for the new C7 Corvette Stingray!